Do You Have a “Hoarder” In Your Family Or Are You A "Hoarder? Are You A Las Vegas Hoarder? Do You Have a “Hoarder” In Your Family Or Are You A “Hoarder? 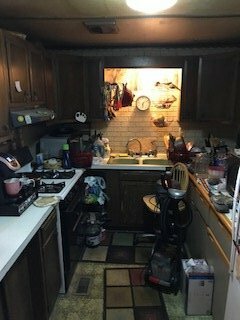 When you are dealing with a hoarder’s home – you are dealing with a home that is literally crammed with personal belongings to the point where it’s impossible to walk through. There are floor to ceiling stacks of papers or books, piles of litter, dirty dishes, rotting food, mounds of clothes, and countless other personal possessions. This kind of home inevitably falls into disrepair because the hoarder is fearful of strangers entering the house or grounds to fix anything. 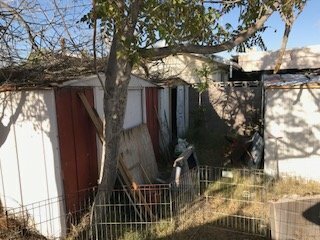 A hoarder’s home can even get to the point where its a health hazard, both inside and out. It’s difficult enough to sell a home in Las Vegas’ because there are so many nicer homes for sale. 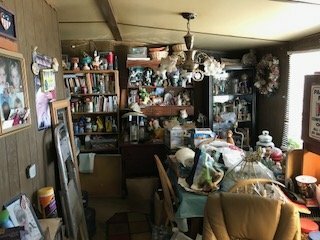 When a home is in a “Hoarder” condition, its virtually unsellable. 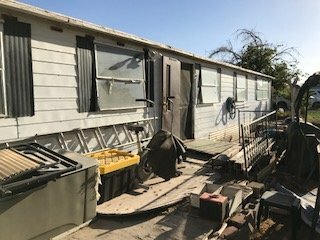 Whether you are in this position or – what is more often the case – you are dealing with the property of a loved one who is or was a hoarder, you know how hard it can be if you need to sell this property for financial reasons. Just the prospect of cleaning it up is overwhelming, never mind fixing the structural or cosmetic issues such a home always has. When a home deteriorates that much, the financial cost of bringing it back to marketable condition is prohibitive. Well, we at Buying Nevada Houses actually specializes in this type of real estate. We’ll buy this type of home no matter how much “STUFF” is in it, how serious the health and sanitation problems may be, or what has to be done to clean it up. You will not have to deal with this intimidating and often agonizing process, we can take care of it for you. When this is the kind of situation you’re dealing with, it can be hard to truly hard to even up the phone and ask for help. The thought of “showing” or trying to market a house in that condition is overwhelming, but the thought of trying to “fix” it up is even worse. This is what you need to know – if you call us – we can help you figure out what to do, because we are in a position to purchase your Las Vegas home without you having to do a thing to it. Did these pictures remind you of someone? Don’t worry……We’ll buy your Las Vegas house from you and help you move your stuff to your new place! Checkout our new “Your Local Move Is On Us” program….click HERE to see the details.